This Saturday when the weather is finally nice, you can spend the day shopping. And we do not mean to go to the shopping centre and spend there a day in the shops without windows. We mean to visit Flea Market, Vintage bazar or Fashion market of Czech bloggers while discovering the city. One-day festival with the wide choice of sports is a perfect tip for sunny Sunday. 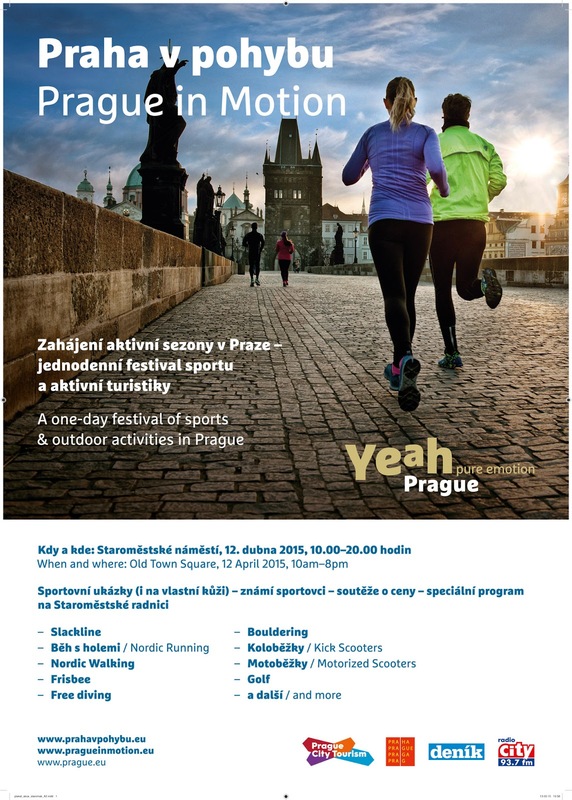 The main goal of Prague in Motion festival is to show tourists and natives which sports are popular now and that Prague is not only about sightseeing. The visitors can try adrenaline sports (f.e. slackline), lessons of zumba or water sports or meet the sports teams. You can also win a beautiful price in one of the competitions. The festival takes place at the Old Town Square. For more info, visit this website or see the picture below. Fair which celebrates 420th anniversary and which is the first one opened in Europe this year is an ideal event for family with small children. The small ones will enjoy the hounting house, the ferry wheel or just a candy floss from one of the many food stalls. Gentlemen, you can also try shooting from the air rifle and surprise your partner with the paper rose or a big teddy bear. The Fair is opened until April 19, so you have only a week left to visit this famous Czech event. For directions, just ask us at the Front Desk. American artist whose exhibition is right now in Prague is definitely worth to visit. 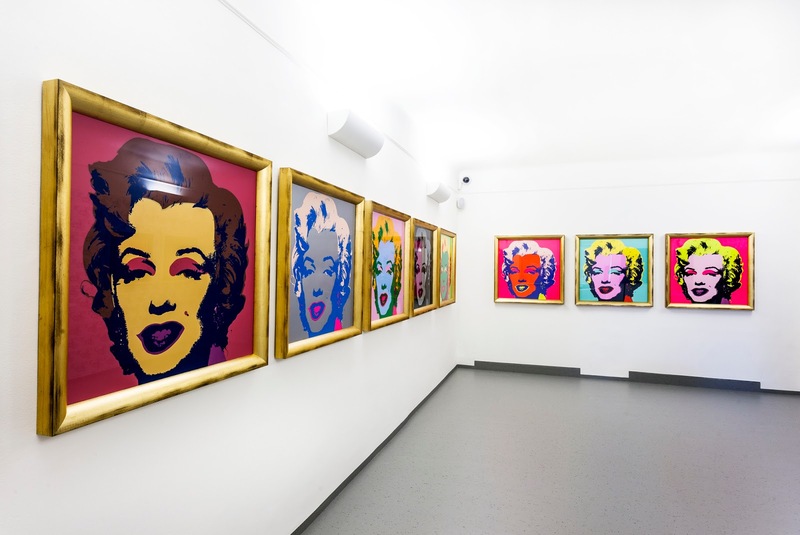 The exhibition is held at the Gallery of Prague, close to the Old Town Square and visitors can see a unique collection of LP covers or try to create own work just like Warhol in a screen printing workshop. For info and admissions, please click here. One of the most popular events (not only in Prague) is connected with changing of guards. On Wednesday at 2PM you have chance to see the whole Parade Show of the Prague Castle Guard. This Parade Show is being held every month. We can only recommend to arrive earlier to have a good spot for watching. More info can be found here. Let's go shopping! PFN (shortly) is a successful event in connection with Prague Fashion Week. Shops at Pařížská Street, Rytířská, Na Příkopě or Wenceslas Square and their surroundings are specially opened for this event until 10PM. The main goal of PFN is a presentation of all fashion boutiques, shops and fashion designers. The city centre will be for one evening full of fashion. Each shop or boutique has prepared a special programme, little catering, exhibits of making own clothes or special offers for visitors.